I've been working on a custom shampoo for a couple of weeks. Texture has been my main challenge (as usual). The product works great, but batch 1 was just too darn runny for my liking. The lady asked for some added conditioning action to my Plain & Simple Herbal shampoo. Knowing her hair, my first thought was to add some fat-restoring (jojoba) and leave it at that. But after the seeing the texture thin out to something resembling thick water after 12 hours, I remembered there was way to kill 2 birds with one stone and pulled out an old fave that both conditions and – with the right production method – can add texture to a shampoo. 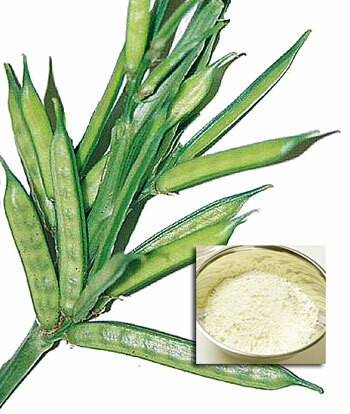 Guar gum is both a blessing and a curse to use (but mostly a blessing). The blessing part: it creates a protective film that lovingly wraps itself around each individual strand of hair and helps lock in moisture. The curse part: if you happen to color your hair and have been using products with guar over a period of time, the dye won't be able to penetrate the protective layer and fades within a couple of weeks. Guar can also create build-up (in a nice, hair-protecting kind of way, but, nonetheless, it is build-up). I've done a previous posting with a bit more detail about guar here. The addition of guar was just what this shampoo needed. Viscosity: perfect. The shampoo even passed the 'what happens if you leave it standing for a while and don't shake it' test (I've had problems getting guar to fully integrate in some formulas). It just passed all tests with flying colors. If I hadn't been asked about this particular thing, I never would have cracked this. Although I have always considered a runny shampoo texture a symbol of failure, I got some great input from natural hair care wizard Lola Zabeth about the useability of a thinner shampoo. If your hair is thick and curly, it can be difficult for a thicker shampoo to reach the scalp. Lola said she actually thins out normal shampoo and finds a runnier texture desirable. Imagine how delighted I was to hear that runny shampoo, could actually be desirable! Yay Lola! 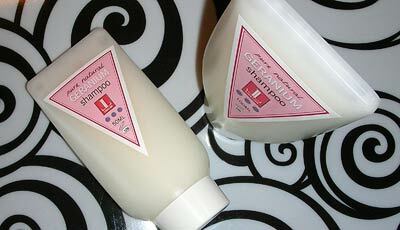 So, ladies, if you love your shampoo runny, it's possible to do!